Thanks for stopping by! 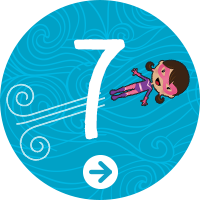 You've landed at stop #6 on our little blog hop! 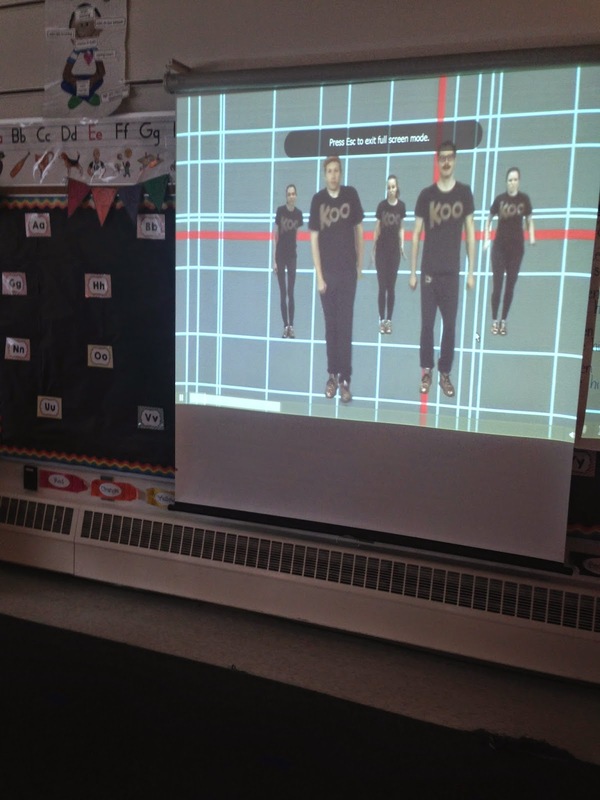 We have teamed up with Go Noodle to bring you our favorite ideas for using GN in your class! Of course, there are also lots of giveaways! If you want to start at the beginning, head over to sweet Molly's blog by clicking her button! 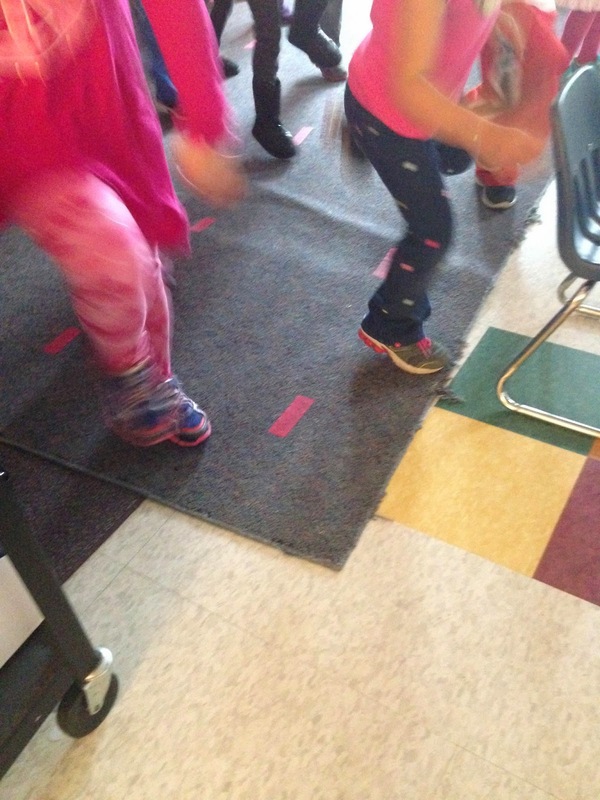 Today, I'm going to tell you all about how I use GoNoodle for indoor recess. Lord knows that here on the East Coast we have all KINDS of weather. Between rain all day and freezing temperatures (yes this Texan defines freezing as anything under 40 degrees), it's not always easy to go outside. These past couple weeks have provided ENDLESS hours of indoor recess. 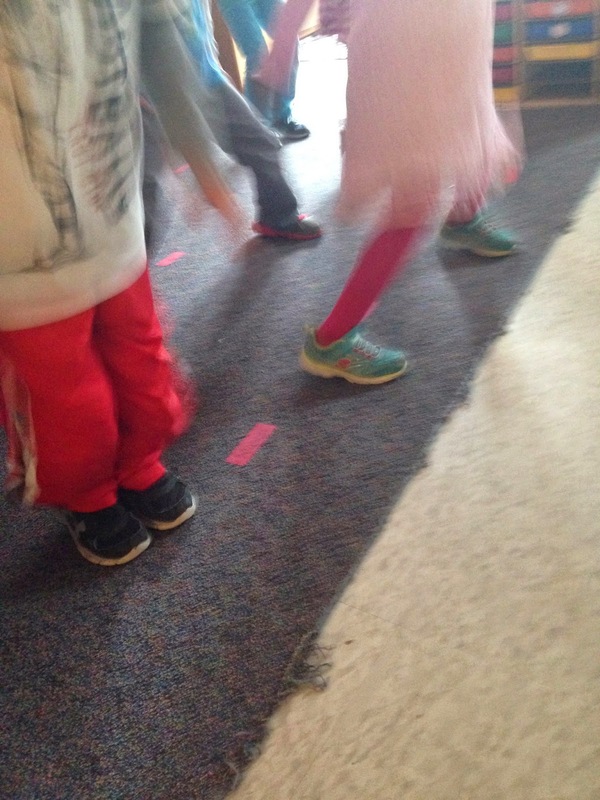 It is truly important for little 5 and 6 year old bodies to get lots of opportunities to run and jump and play...and dance and sing...and create. They really make it easy for us indoor bound teachers. One day it rained ALL DAY. 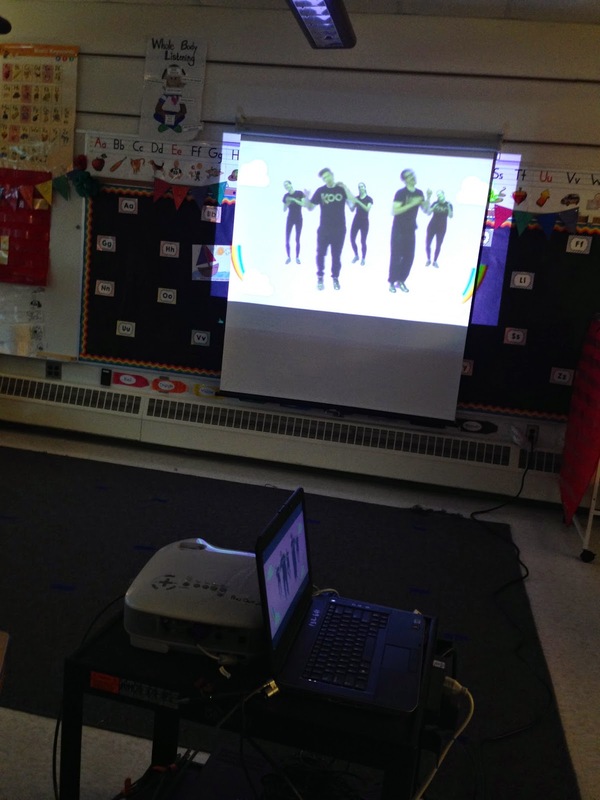 There was no way we were going outside, so I wheeled out the projector and we got our GoNoodle on! I LOVE Koo Koo Kangaroo. Seriously, I love them so much. My kids love them too. We had so much fun we didn't even care that we couldn't go outside. We worked for about 10 minutes on high energy activities and then cooled down with a little calming yoga with the amazing Maximo. Maximo is awesome. Mostly because he is a blue monkey who does yoga but also because he really does help the kids calm down. We worked on breathing deeply and transitioned right into our Fundations work. The kids were focused and engaged during our phonics lesson and I promised to reward their hard work with a little extra GoNoodle time! Of course I went to my good ol' Koo Koo Kangaroo for a little Hopscotch! Look at those little feet fly!!! I couldn't even get a non blurry shot of them. GoNoodle really helps turn our rainy days into rainbow days! Of course, Go Noodle has a special surprise for you! 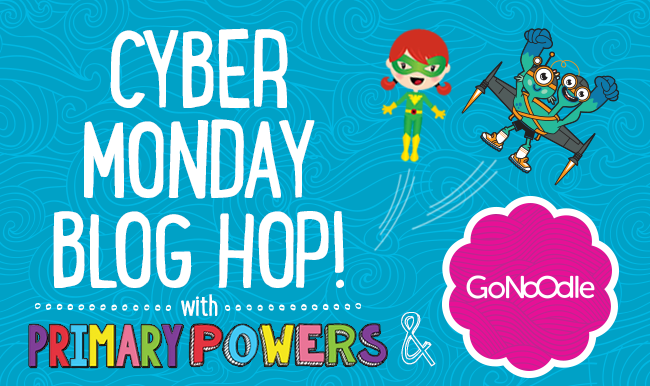 Starting on Cyber Monday, GoNoodle is also offering all Primary Powers readers 30% purchases from the GoNoodle Shop through December 8! Use the code POWERS30 at checkout to receive the discount PLUS a special gift from GoNoodle and Primary Powers. 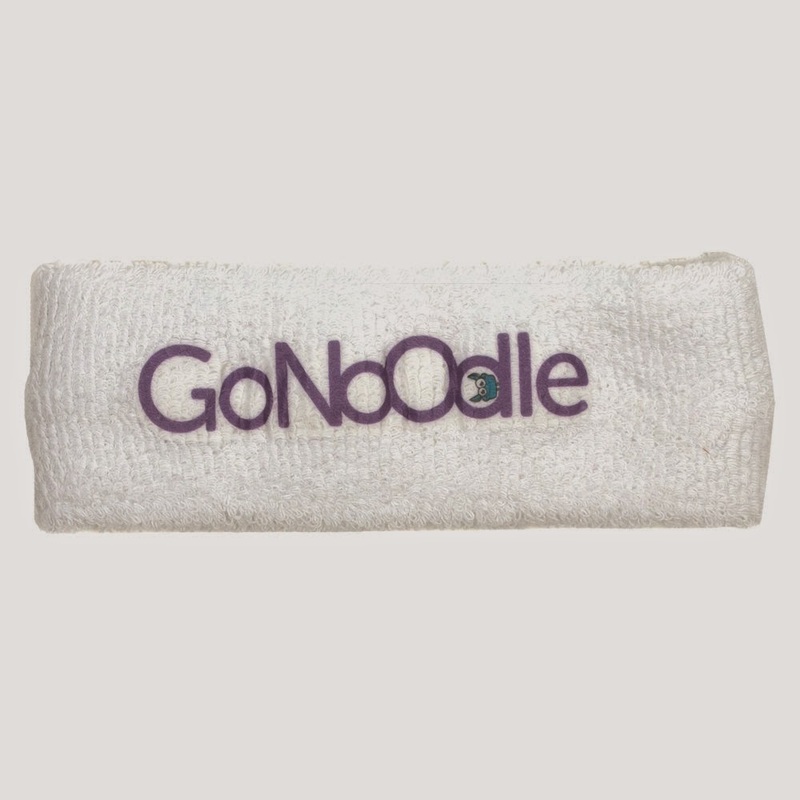 In addition to new t-shirts, tumblers, and other goodies for GoNoodling teachers, you can purchase affordable, pre-wrapped gift packs for students to bring a little GoNoodle love to your classroom this holiday. And now for the fun part! I have a super fun giveaway for you! I get to give some sweet fan a classroom set of headbands! Really?! 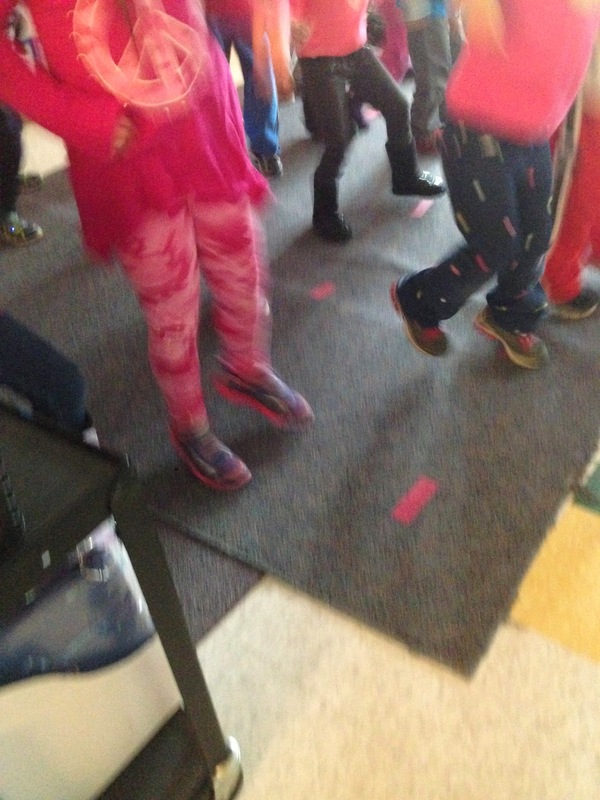 How awesome will your class look as they rock out to Koo Koo Kangaroo in some awesome headbands! 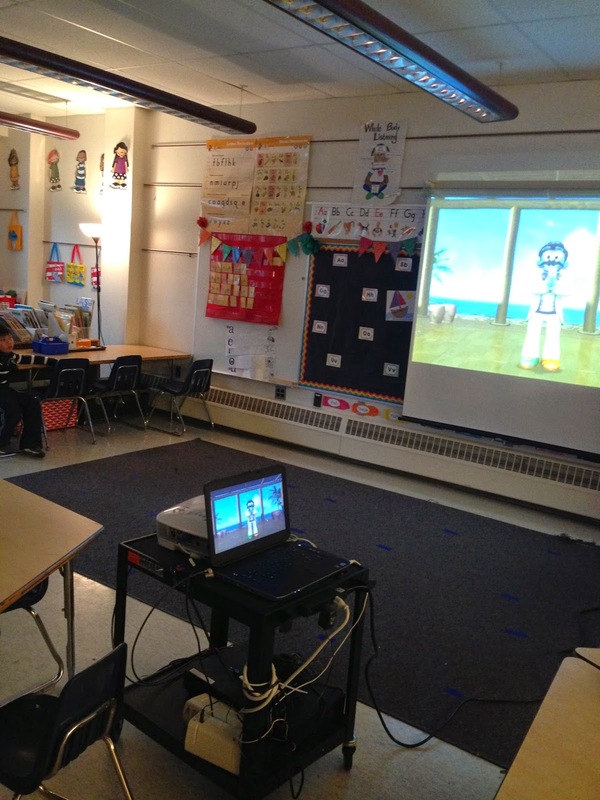 Don't forget to check out the GoNoodle Facebook Fan Page! Click the picture to head over to Jaime's blog, Bright Concepts 4 Teachers!